Central Thailand usually doesn’t get the credit it deserves, other than being a short stop during a long-haul ride up the Northern region. Yet, the historic city of Suphan Buri has a plethora of unique and family-friendly attractions from Buffalo conservation village, 100-year-old local market to huge aquarium. Find local-recommended things to do in Suphan Buri here. The vast green space with traditional Thai houses is dedicated for buffaloes, the good old friends of local Thais. Before tractors, buffaloes were the heroes of the agricultural scene and important part of a Thai family. 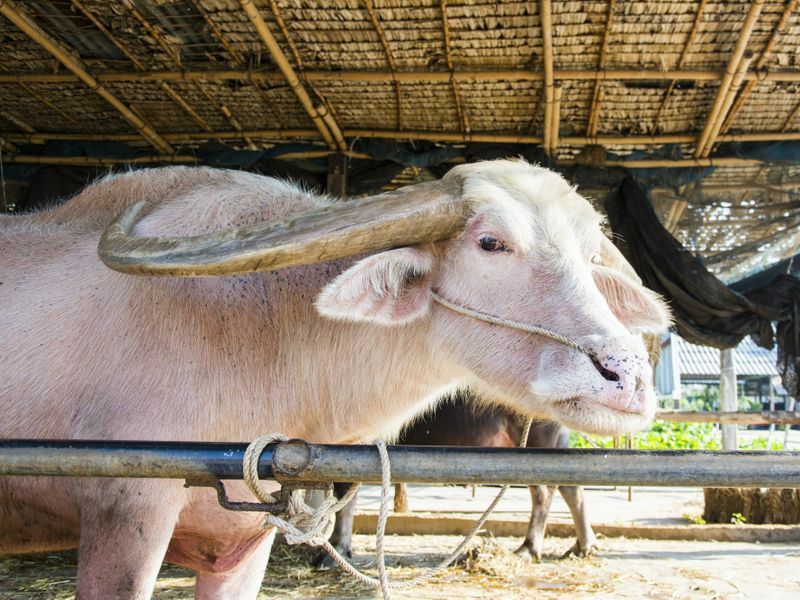 Buffalo Conservation Village lets you learn the importance of these beautiful creatures as well as the Thai traditional mastery of farm life in the simple way of life. Literally 9-room market, the rows of wooden shophouses have been here for over 100 years. Located on the bank of the river, the market was a buzzing trading hub back in the days. 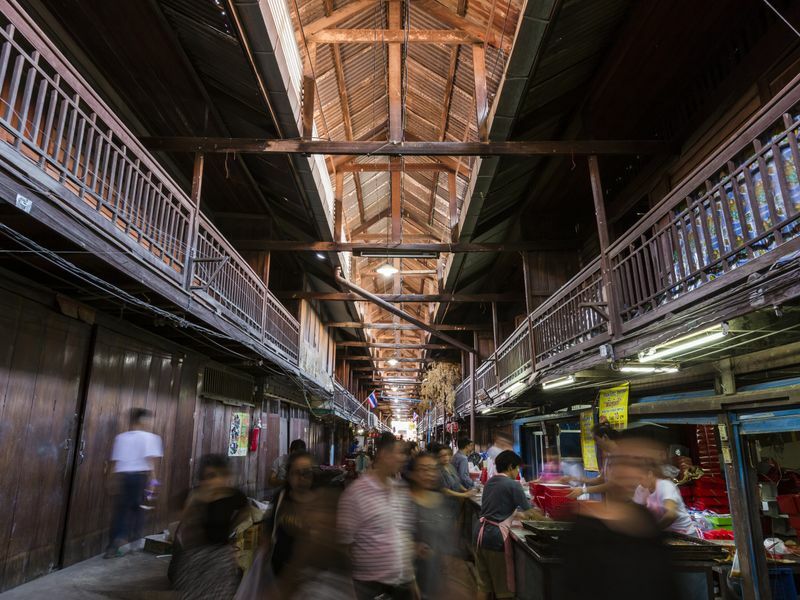 Even though most travelers now flock to newer markets and the dynamic vibes have faded away, Kao Hong Market is still the best place to get a glimpse of the old and soulful Suphan Buri through conversations with its friendly locals. This huge aquarium will most likely be the next favorite thing for any kid. It houses more than 50 kinds of freshwater and marine animal. 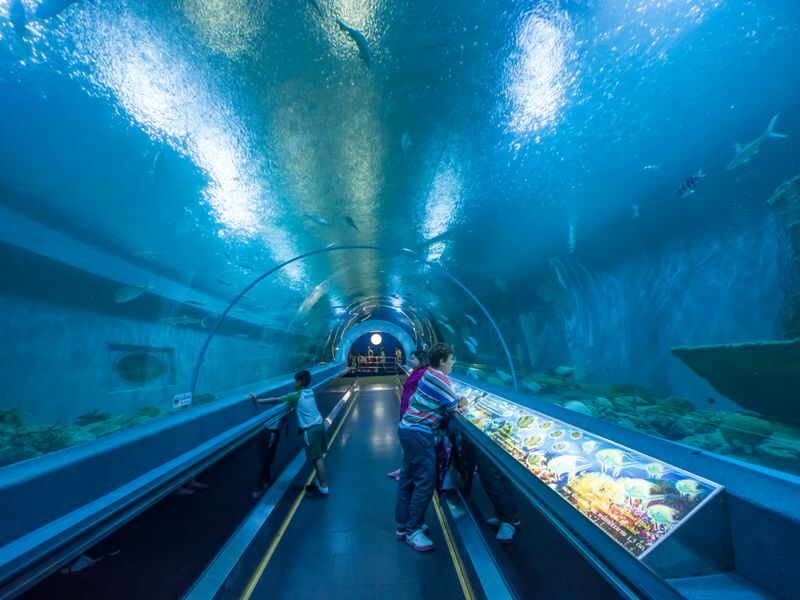 The highlight is definitely a 8.5-long glass tunnel where scuba divers swim with the fish 4 times a day. Beside the aquarium, the same attraction also draws in visitors with its recreation zone, rice mills and vegetable farm. 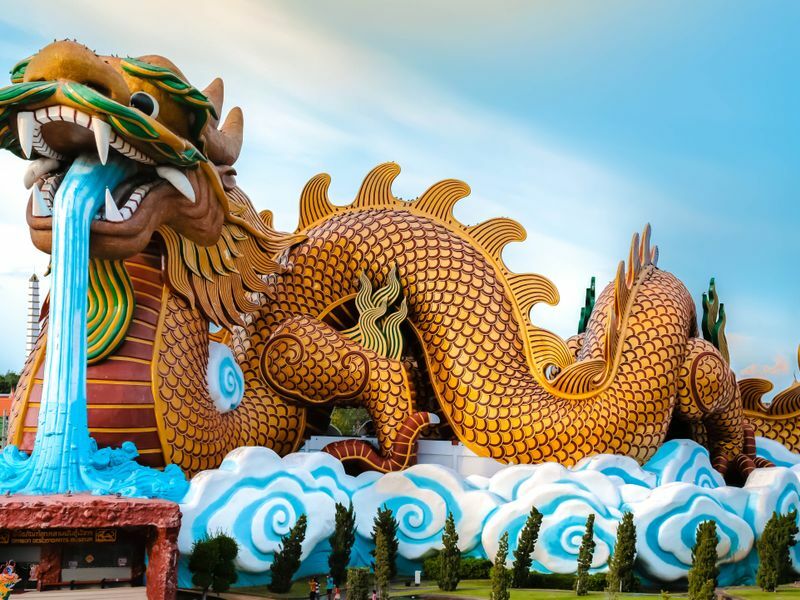 History buffs won’t want to miss this 18-room museum that tells the long and complex history of China, starting from the world creation in the Chinese universe to the establishment of the republic of China. You will also learn about the long-lived Thai-Chinese relationship, as Suphan Buri has always been among the biggest Chinese settlement hubs in Thailand. If museums aren’t your thing because they are full of long text, worry not as Dragon Descendants Museum tells their stories through a plethora of modern and fun multimedia. Not exactly what you're looking for? Check out our selection of private 1-day tours in cities near Bangkok.